A – Assault Core made it back to three to largely unanimous applause. Today I will be analyzing multiple ways to approach ABC, and how the deck can serve as a formidable force in the months to come. ABC is one of my favorite decks and I played it for most of 2018. So I’m excited to get back into playing it this format! Deck Example #2: Danger! ABC! The new change to ABC with A at 3 gives the deck a lot more chances to get going. The name of the game for ABC is to snowball your opponent. 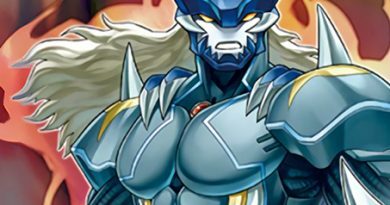 As soon as the first ABC – Dragon Buster is summoned, the deck’s engine naturally takes over and runs over most of the competition. The tricky part though is getting to your first Buster. A at 3 gives you a higher chance of opening a Union plus a Union Hangar. Hangar is by far the most important card in the deck, but its power gets amplified when you already have a piece to go along with it. Pot of Desires is also playable again now. With A at 1, the chances of banishing the 1-of A was relatively high. Now with A at 3, Desires can be used with minimal risk to gain strong card advantage. 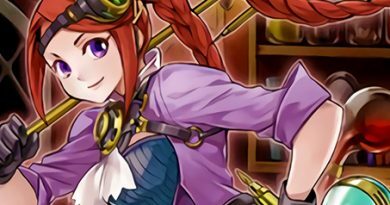 Pot of Desires is a card with strong potential that goes a bit underused right now, so ABC being able to take advantage of it gives the deck an edge. Hangar + a piece on its own is a two card win condition. All you need to do is summon Buster, and a simple Normal Summon is good enough to do it. You don’t need fancy extenders like Gold Gadget or Photon Thrasher. All you need is a Main Phase 2. Meet Clara & Rushka, the Ventriloduo. She helps make simple plays end with complex boards. Assume you are going second in a vacuum with A and Hangar in hand. Union Hangar adds B – Buster Drake. Normal Summon B, and equip C – Crush Wyvern from the deck with Hangar. 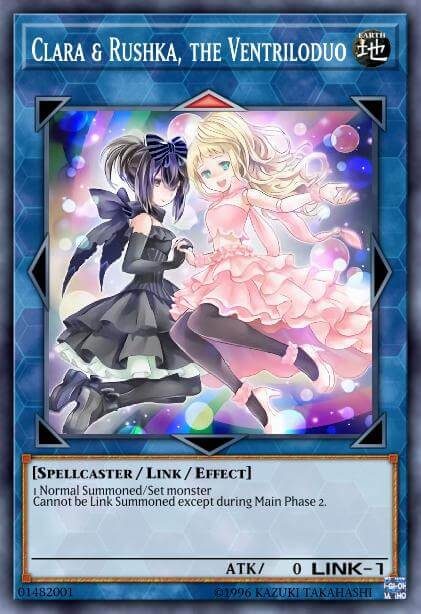 Link Summon Clara & Rushka, the Ventriliduo using B.
Activate C Chain Link 1 and B Chain Link 2. (Note: You must have a piece in hand in order to activate C’s effect. The combo does not work with just B equip C.) B searches another C, and C summons that same C to the field. Link Summon Decode Talker with your Link 2 and A. 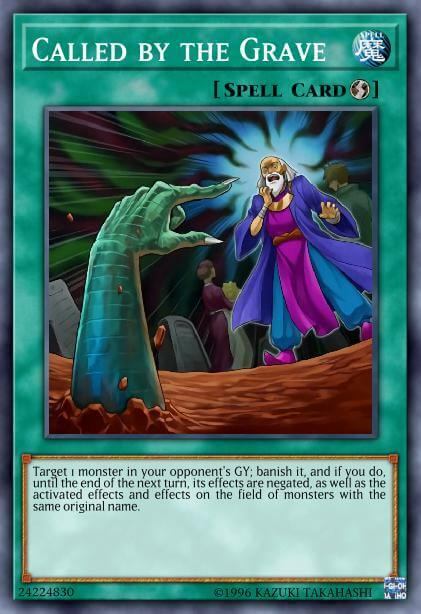 Then, A effect, add C.
Summon ABC – Dragon Buster with the 3 pieces in your Graveyard. This combo isn’t a set formula, and you can adjust it based on the specific game state. If your opponent has a lot of backrow, it’s wise to Link climb through Knightmare Phoenix and Knightmare Unicorn to pick away potential problem cards like Solemn Strike. If anything, the above list is an indicator that ABC has a lot of power through a small investment. Most ABC decks I see online emphasize going first. They ideally want to summon A, equip B, set strong backrow and passing. This is pretty good, and is certainly the ideal way to play ABC against many combo decks. But I also want to explore the many going second options that ABC has. This lets them take better advantage of Link climbing and making Buster off of just a Normal Summon. In general, I tend to think that ABC is stronger going second overall. Below are some examples of different approaches you can take towards ABC, including a going first build. These are by no means the only ways you can go about it, but are ways I think are pretty strong. If you are new to ABC, I encourage you to use them as a jumping off point. This build is aggressive going second blind against most of the control meta, and the side deck is dedicated largely towards going first. In times where you are better off going first, such as against the Gumblar deck, this deck build can easily transition its play style. Dinowrestler Pankratops is a strong going second option with a lot of utility. He applies offensive pressure, Link climbs into a Summon Sorceress play, or clear away potential problem cards. 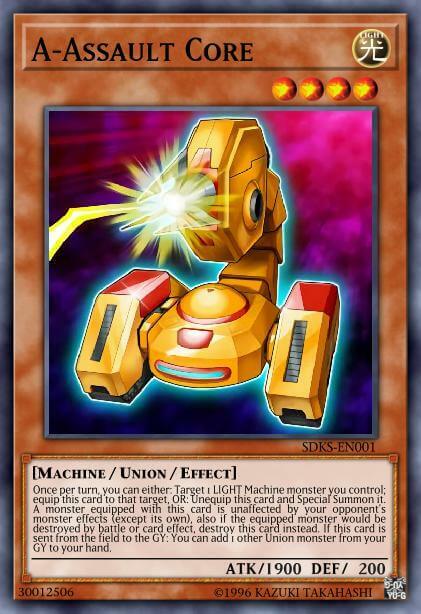 It conflicts sometimes with Sky Striker Mecha – Hornet Drones, but Pankratops doesn’t often stick on the board. The Sky Strikers make summoning Summon Sorceress really easy. 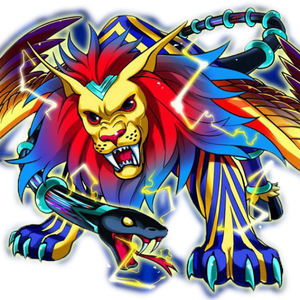 With Summon Sorceress, you can often end with Knightmare Phoenix co-linked to Knightmare Gryphon and a Buster in the Extra Monster Zone (so that it can’t be targeted by Knightmare Cerberus). If you opened a lot of extenders, you can sometimes make a second Buster next to Gryphon as well. Still trying to take advantage of going second blind, the Danger ABC build uses the draw effects of the Danger cards to draw into power cards like Union Hangar. Having pieces discarded by Danger effects make summoning Buster easy. Summoning Sarjuya Skull Dread with four materials is also pretty simple with a hand full of Dangers. This is still largely in the experimental stage, but it’s far along enough to take to a tournament. 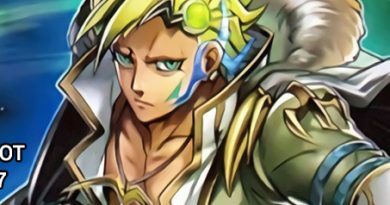 The Danger cards offer a lot of brute strength, but they force a lot of deck building paradoxes as well. Hand traps don’t work too well with the Dangers, and if you play Called By The Grave it can be awkward to use in a hand of Dangers. This build goes first blind instead of second. If the meta becomes very combo oriented rather than control based, the going first build may have more promise. The basic idea is to summon a piece like A, equip B to it, set some Traps, and pass. Realistically, if the traps do their ideal job, A should survive the next turn and hopefully with its Union still attached. If that does happen, you should be able to steamroll your opponent with Link climbing. Even if it doesn’t, having A and B in the Graveyard means you should have C in hand and that the game state is relatively simplified. After all, most of the Trap cards just make 1-for-1 trades. Just Normal Summon C in the simplified game state and Buster should be able to take you far ahead. By far the most crucial flaw of ABC this format is the prevalence of Called By The Grave in almost every deck. It didn’t help that the same list that A went to three, a strong ABC counter back came back to three too. Typically when playing ABC, Called By the Grave is used as soon as B hits the Graveyard and tries to use its effect. B gets negated AND banished, both of which are crushing. As I’ve played ABC throughout 2018 as well as at the European WCQ, I rarely ever have my ABC hit by Called By The Grave. If you are afraid of Called By the Grave while you control ABC, simply choose not to tag out unless you have to. Buster applies enough pressure on its own, frequently forcing your opponent into suboptimal plays. Making ABC going first curbs this issue a bit because Called By The Grave on its own is not an answer to ABC. It can be used on ABC if it tags out, but can’t force the tag out. The problem with this angle is that making Buster is much easier going second because of Clara & Rushka, but doing so opens you up more to Called By The Grave. Because of this, it’s essentially mandatory that you main three copies of Ghost Belle & Haunted Mansion. Beyond that, there’s not a whole lot more you can do besides trying to remove it prematurely with cards like Pankratops or Twin Twisters. ABC coming roaring back into the fray this format is something to be mindful of going forward. It’s a highly versatile, highly flexible deck that has access to strong Extra Deck boss monsters. Figuring out how to build it optimally given all these options is the challenge. Going second gives you routine access to power cards like Evenly Matched and Dinowrestler Pankratops. Going first gives you access to floodgates like Imperial Order and Rivalry of Warlords, or other Traps like Solemn Strike and Solemn Judgment. What’s the answer? Go and find out! Try out ABC today and get those engines going. See if you can be the one who solves the deck first!